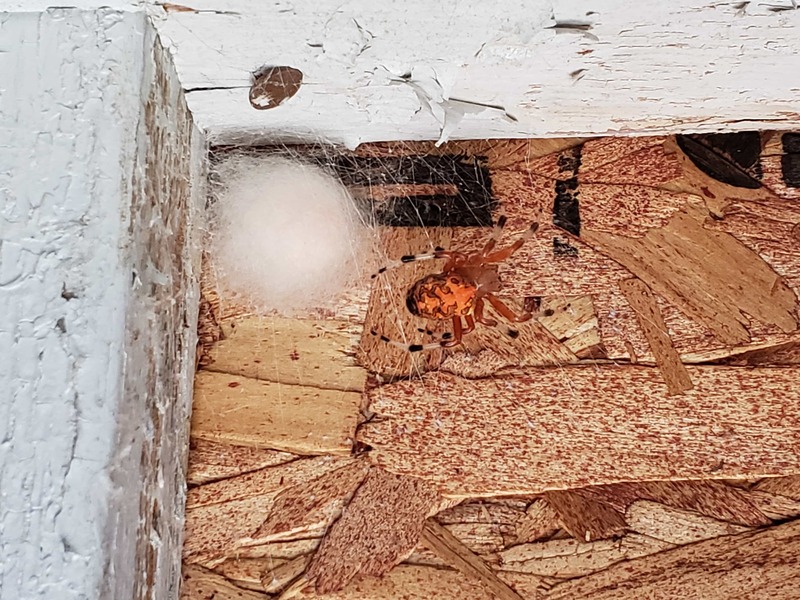 Marbled Orb Weaver with egg sac, does anyone want it? Sorry the picture went sideways. That’s happened to other people too. I’ve reported the glitch. Your marbled orbweaver, Araneus marmorous, has great colors. It is nice to see one with an egg sack, thank you for posting the photo.